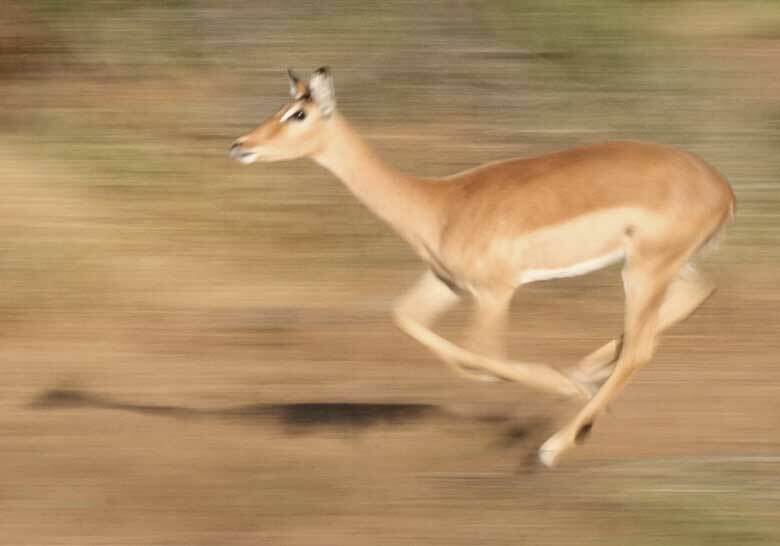 Caption: Impala female running at full speed, panned shot for motion blur effect, Mashatu Game Reserve, Botswana. Photo: © Scotch Macaskill. Location: The Kruger National Park, situated in South Africa, is that country's flagship game reserve and offers a wildlife experience that ranks with the best in Afria.